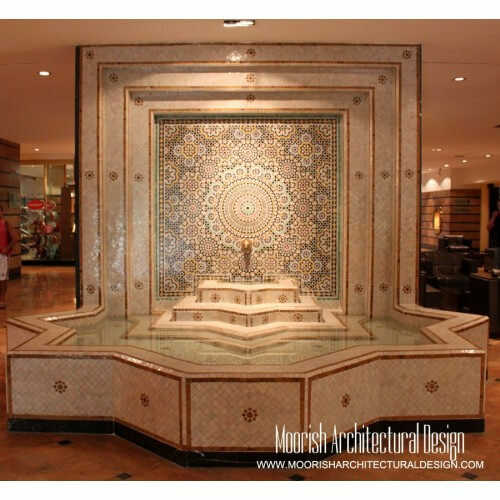 Shop our exquisite selection of authentic Moroccan mosaic fountains custom and handcrafted by master craftsmen in Morocco. 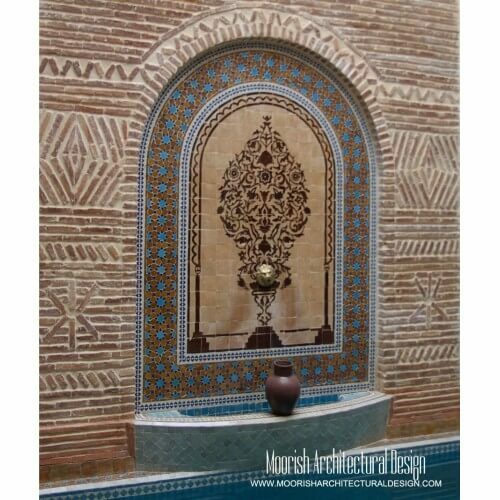 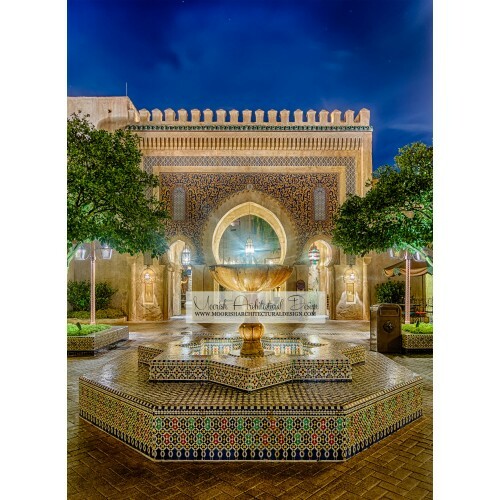 Moorish Architectural Design is the leading manufacturer of original Moroccan style wall fountains, courtyard fountain, garden fountains. 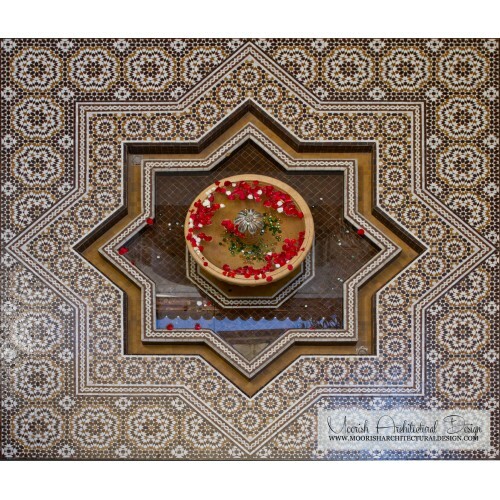 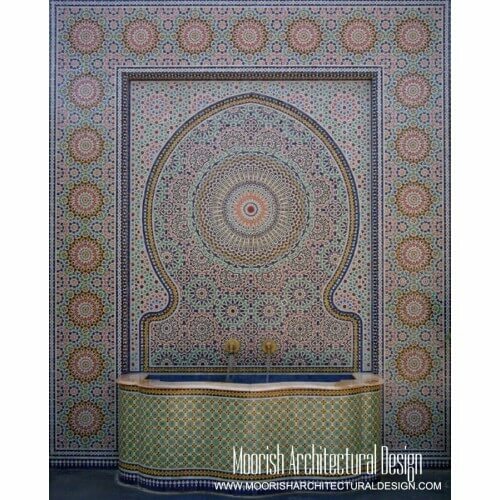 Our selection of Moorish fountains includes a vast array of shapes, styles, and colors. 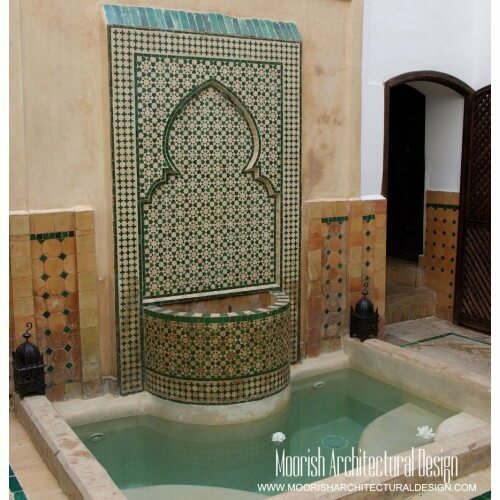 Moroccan fountains are very versatile, and can be used in almost any indoor or outdoor or landscape design application. 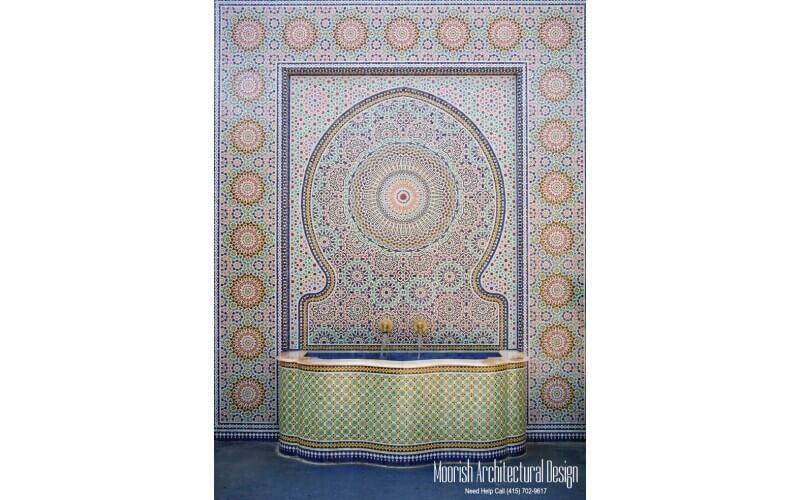 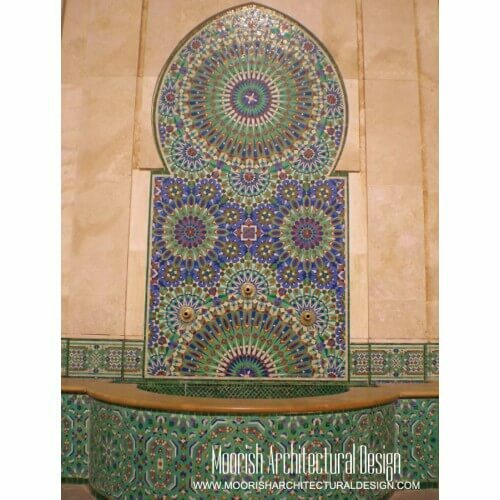 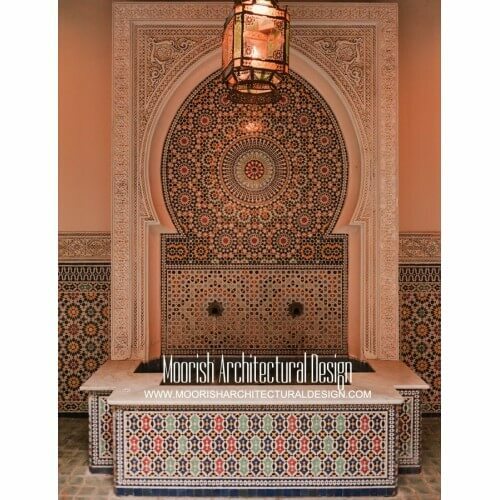 Contact Moorish Architectural Design team for a quote on a custom Moorish fountain. 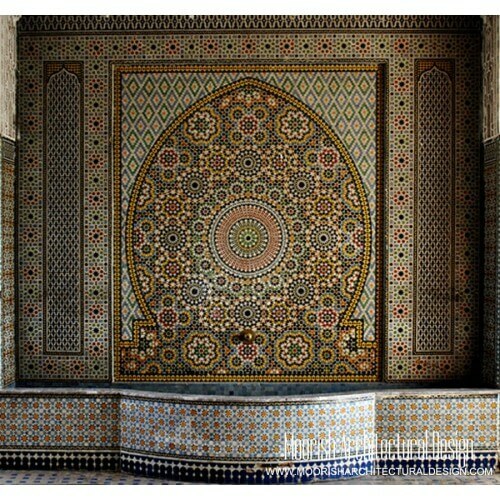 Moroccan Fountains There are 9 products.